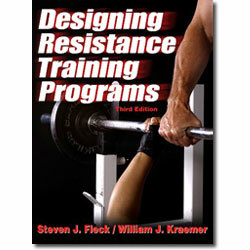 The Designing Resistance Training Programs, a popular book for strength training is written by Steven J. Fleck and William J. Kraemer. In this book this two of the world's leading experts on strength training have explore how to use scientific knowledge to develop personalized training programs. This book enables you to design scientifically sound resistance training programs, modify and adapt programs to meet the needs of special populations, and understand how exercise prescription design works in the real world. The authors here have discussed the basic training systems and program prescriptions designed to enhance strength, power and endurance.